Art and craft have always been a favourite of all children, of all ages. Your child’s little hands should, therefore, be engaged in the advantageous play of art and craft games from an early age and as soon as possible. Choose from our vast range of DIY craft projects from toddlers to turn your kid’s energy and interests towards positive practices that will help you mould him properly in his kindergarten years and help him in his future days that are yet to come. There are many play options for toddlers and their parents to choose from. The first thing that attracts a child among his playthings is a play dough. Hand printing on paper to create trees is also their next favourite on the list. Elders can help them make paper collages and origami products like paper birds to hang on the windows. Create your own stamp from cut vegetable surfaces. Give them with adult supervision to help them make flowers from pencil shave offs and photo frames from cardboards that can be further decorated with stickers. Bath crayons are gaining popularity among the latest homemade craft projects for toddlers. They are excellent luring devices for your dirty toddlers who give you a hard time while bathing. With the DIY bath crayons, you could clean your little ones while they go on to make their childish masterpieces. 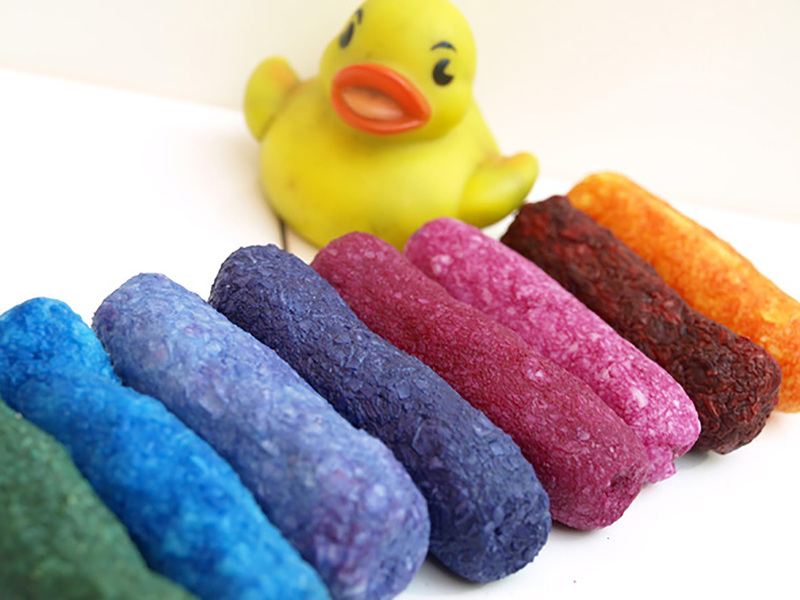 Since the crayons are made of soap they dissolve completely with the bath water leaving no residue behind. The best way to make such crayons is to dye them and create a set, then let your toddler choose the colours he/she wants to. In terms of artistic abilities, let your children grasp the beauty of creativity from an early age. 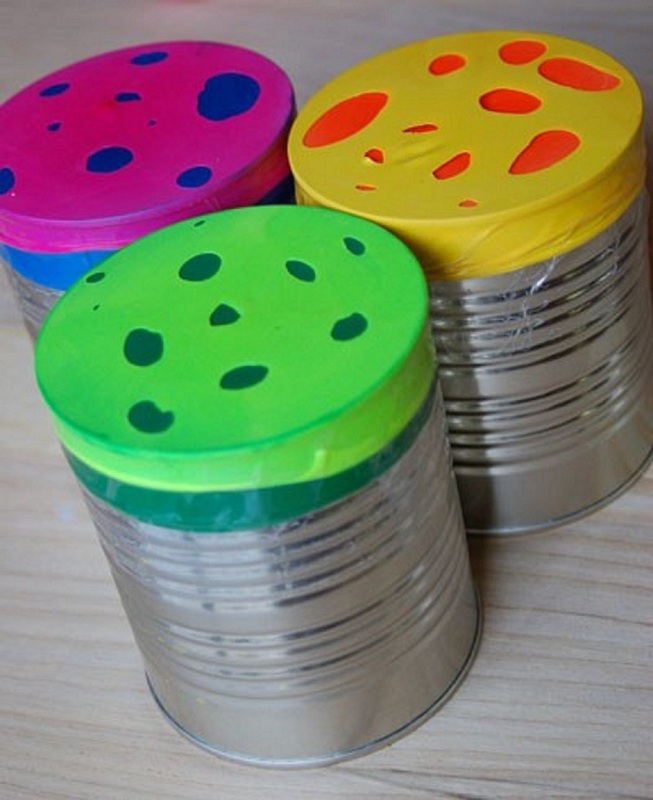 Coffee can drum are excellent playthings to give your toddlers an ear for musical creativity. Let them thump and beat the drums in joyous spirits as you get engaged with your household chores. For this excellent diversion, all you need is some balloons, scissors, packing tape and some old coffee cans. Although there are several other tutorials on the internet on how to make easy crafts for kids, the balloon coffee can drum has a way with the kids. Yes, it is as fun as it sounds. 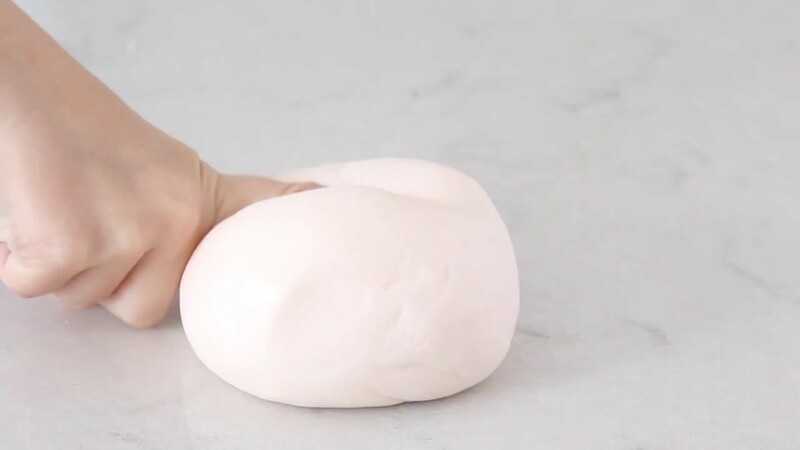 Yoghurt silly putty could be made with just two ingredients and is an ideal play thing for toddlers, period. In one cup of yoghurt, add three or four cups of cornstarch. Put the slime on the table and then roll it into a ball. If the mixture is too dry, add some yoghurt to it and if it’s too sticky, add some corn starch to it. Witness your child making the most out of the homemade craft project for toddlers. Moreover, if they get tired of pulling and stretching the slime, just tell them to have a bite at it. ALSO READ: WHAT IS YOUR OPINION ABOUT HOMESCHOOLING? Many of the parents might not believe the effectiveness of such crafty animal puppets, but toddlers have a penchant for listening to talking animals. You could make them into any animal (preferably your child’s favourite one) and use them to make your toddlers listen to you. Also, you could see them improving their talking skills as they try to mouth words of the paper puppets while playing with them. 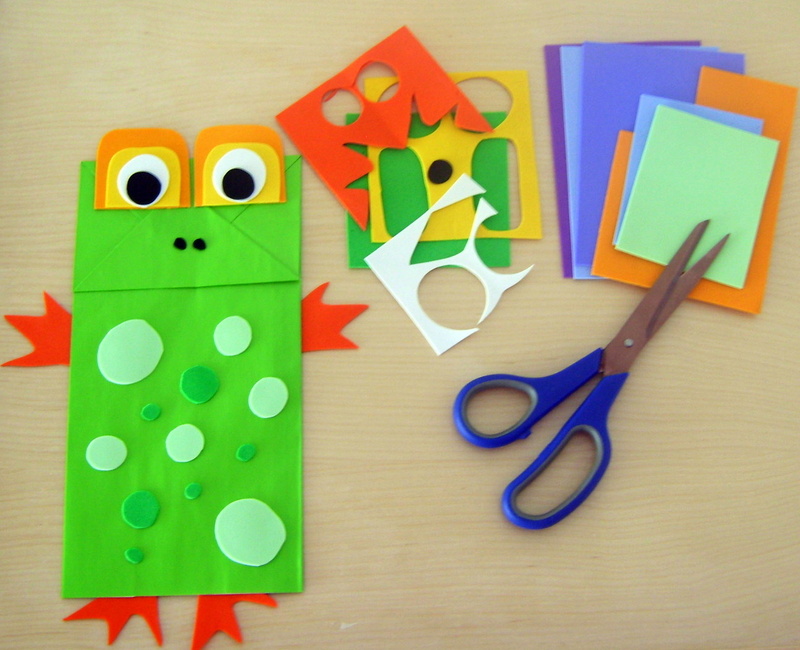 Based on creative origami, paper animal puppets are excellent to provide your toddlers with cartoonish entertainment in the most homemade way possible. Children love to play with colours and paper bits and therefore, origami could be added to their list, too. Moreover, DIY craft projects have more than just these mere benefits for your little love. They are a great way for the physical and cognitive development of your children during their forming days. This also serves as a great practice for their hand and eye movement. Their brain gradually starts becoming accustomed to receiving and sending the appropriate signals for the appropriate activities.